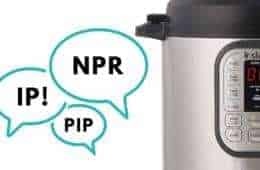 As we’re anticipating Instant Pot to launch their newest electric pressure cooker: Instant Pot Max, they have instead surprised the community with a new high-performance blender – Instant Pot Ace Blender!! 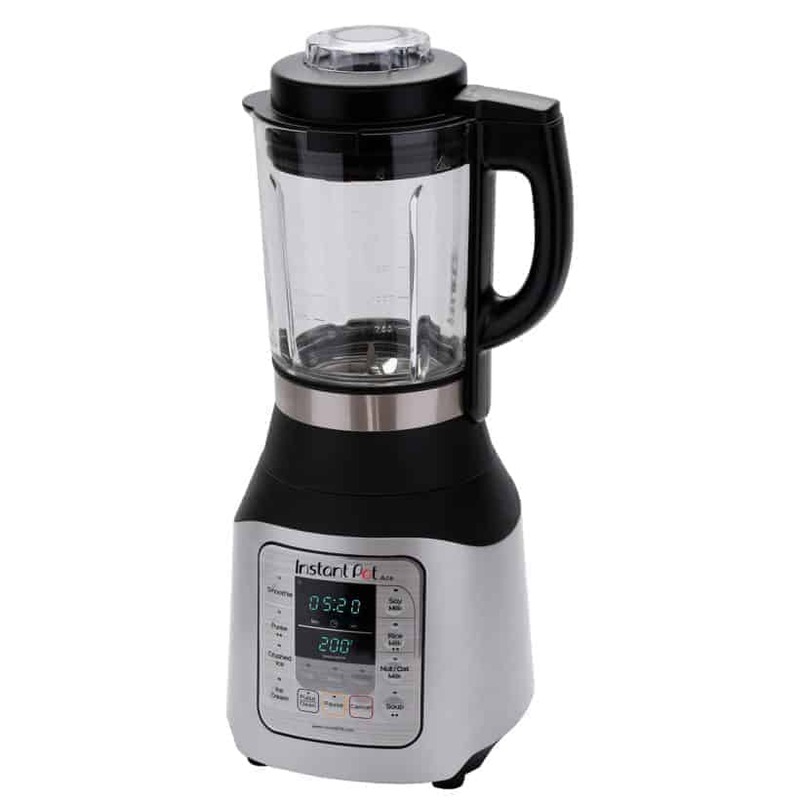 What comes as a shocker is its’ huge price cut from the dominant players (like our beloved Vitamix) at $99 USD (compare to Vitamix at ~$400+ USD)! So what’s special about this Instant Pot Blender? What can you make with Instant Pot Ace Blender? Instant Pot Blender boasts its capability to combine boiling & blending through the Hot Blending Program. So you can use fewer appliances and make “one-pitcher meals”! Quiet Motor – have yet to test it for ourselves to see how quiet it is! 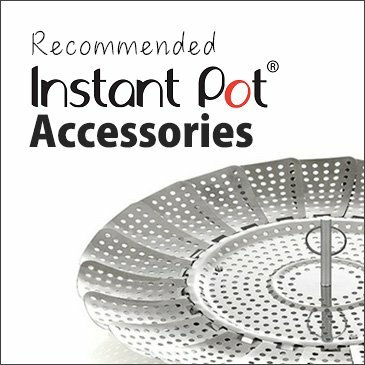 Where to buy Instant Pot Ace 60 Blender? It’s now available for pre-order at Walmart for $99. It shows that it’ll be available in Walmart stores starting Tues, Sep 25, 2018! 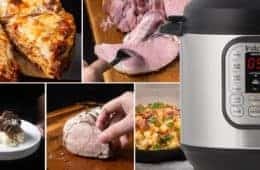 What do you think of this new Instant Pot Blender? Share with us in the comments! I got an Ace for Christmas, and wow.l! Iam in love. First thing I made was a smoothie. No ice Crystal’s iron chunks of ice. Just put everything in and walk away! It was great. Compares favorably to any expensive commercial smoothie. Next, I made cream of potato soup. Used the recipe on the IP site as a guide, but put my own twist on it. Again, put the ingredients in and walk away. Added cream and cheese, a little butter smashed with four when the 22:44 was up, pulse blended for a few seconds,and OMG, the best potato soup ever. No standing and stirring, no mess on the kitchen, no pots to clean. I LOVE IT! Gave on to my grandson, whose wife is expecting (today!) So they can make baby food.. 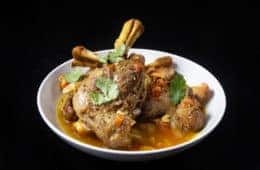 I love your site, and will be checking back for more recipes! I’m also looking forward to your IP Ace Blender recipe. I just bought it too. Our pressure cooking to make list is super long so I think we will focus on that first. I was skeptical of a blender that also “hot blended”. I was also concerned without a recipe book. 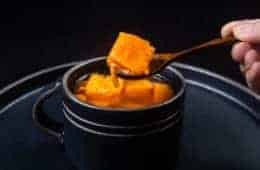 I experimented and made Butternut Squash soup using a recipe from chow hound.com. It was the BEST soup I have ever made!!! Smooth, creamy and delicious….. I found I needed to use less vegetable broth than a traditional pan or slow cooker. I made two batches – the second with less liquid. Also used the soup 2 setting for 22:44 minutes. This uses the blending during the cooking. Currently trying my potato broccoli soup in the Insta Pot Blender. Love it!!!! Made a sweet potato bisque using an Allrecipes.com recipe but adapted it to the Ace. I chopped all the raw ingredients, added the liquids, “soup” (2) setting and in 22 minutes had a perfectly smooth bisque that was so filling! Good thing I halved the recipe! I look forward to adapting other recipes to the Ace. Why would you release a product that has no recipes for it? On the Ace it tells you to download the Instant Pot App for recipes but those are NOT for the Ace! The functions are not the same! I tried making ice cream in it and it did not make ice cream! Smoothies are fine but I did not buy a $99 machine to just make smoothies and not have any kind of recipe book to be able to make Ice Cream and soups and all that you are supposed to be able to do with this thing. So it is going back! DON’T BUY THIS UNTIL THEY COME OUT WITH RECIPES THAT WORK IN THIS! Thank you for your comment. 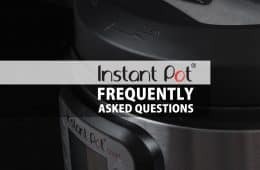 Perhaps you can send this message to the Instant Pot support to see if they have any recipes for the Ace Blender? I think it is exclusive to Walmart for now. IMPORTANT TIP: When using the cooking element, steam will roll out of the top, around the lid. Do not place this close to/under any surface which might be damaged by the steam. I had to move mine farther away from the finished wood cupboard next to it. Also, the cup is 5 pounds, empty. Pretty heavy when loaded with liquid, so be prepared for that when lifting it off the base. Ok. Just served the tomato soup .. delicious! I will agree that 2 cups of broth makes it a bit too runny for me. I like creamier, so would cut that down in volume. I used slicing tomatoes & basil from my garden, rather than Roma & thyme. Added 1/2 a red pepper also. Used vegetarian no-chicken broth. When done, I added nutritional yeast and Daiya Mozzarella shreds to the bowl (those two items will thicken it up a bit). Very fresh flavor! On to figure out how to adapt the IP corn chowder to the IP Ace …. For $8 I purchased a 3 year SquareTrade warranty – pretty inexpensive coverage. Am currently cooking the tomato soup recipe given at the top of this page, and will weigh in afterwards on how it comes out. We have had a Vitamix forever .. needs a new cup, but they are $159. If the ACE works well, we’ll be buying a second one, rather than spend $159 for a new Vitamix cup. We are vegan, so the concept of making soy/rice/cashew milks is great – let you know how that turns out. I also have a 6 qt and 8 qt Instant Pot and a Kitchenaid mixer. Hated cooking until I got all these toys that play well together! Me Too… hated cooking for years until I got my three instant pots one in each size…I too have a kitchen aid mixer … can’t wait to add an IP blender… nija we had 2 …we always broke them. What is the height of blender? I can’t figure it out from descriptions and specifications. it is 19.17 inch or 48.7 cm. If we had known that this was so new, we would have waited to get it. We saw it at Walmart and picked one up yesterday. Then to our dismay found that there are no recipes out for it because it is so new. So today, we cautiously attempted a simple tomato soup. 4 cloves garlic, 1 rough chopped onion, 4 roma tomatoes (not canned, fresh) plus 3 smaller ones that were very ripe (all rough chopped with skins on, seeds remained), a dash of olive oil, 1 cup chicken broth, leaves from 2 twigs thyme, 2tsp salt and a few hefty grinds from our black pepper mill. It seemed too easy, and the liquid seemed too low, so we added 1 cup water (ran out of broth). We put the lid on secure and pressed the soup button 2 times (the method for creamy/blended soup). It came up to heat, 100 Celsius, then started the countdown. We greatly enjoyed watching the device agitate the ingredients, part washing machine, part jet engine. After a total of 22:45 minutes, we discovered a vibrant, deeply flavored, richly colored, exceptional tomato soup. Not a hint of a seed or stem in sight. We finished with half and half to further deepen the richness. The soup was bright, hit all of the umami, and we would have sworn this was a slow simmered, restaurant-quality showcase. Next time, we will omit the water because the motion of the device assured all ingredients stayed submerged while cooking. thank you so much for sharing your experience with the blender. Your comment will be extremely useful to new owner looking for recipes. Well, it is sitting on my counter – now what? It did not come with a recipe book – and while I can figure out some things, like making a smoothie & using the clean function – where can I find recipes for other meals? Soups, Ice cream etc. Help me prove to my hubby that I NEEDED another kitchen item – I have to show it’s usefulness. We don’t have recipes for this blender yet. 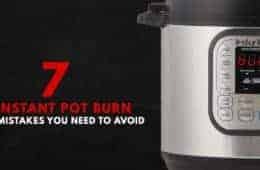 Perhaps you may contact Instant Pot for more guidance. I love my Instant Pots!! Yes, I have 2 and bought a few as gifts because they are so wonderful! In fact I am looking to retire my oldest IP with a newer model. I actually squealed when I read this post! 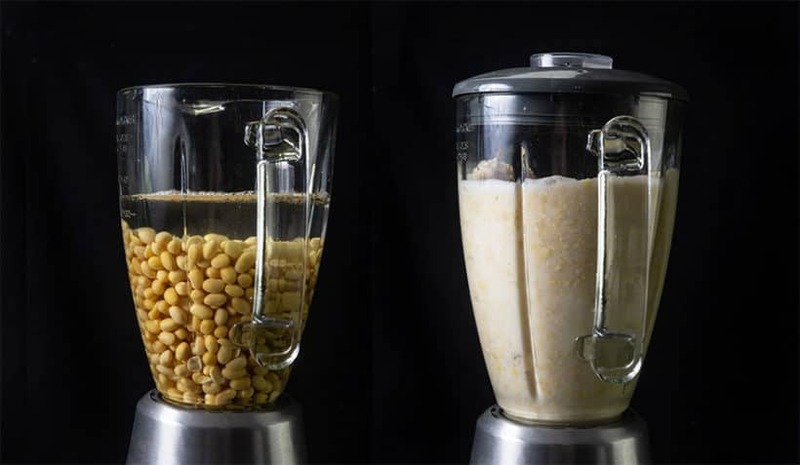 I do believe IP’s blender will hold its own compared to Vitamix at a fraction of the cost. I will be anxiously awaiting your review!! I rarely blend anymore. I have a nice Kitchen Aid Blender, that is counter friendly. I have a very old Vita mix that lives in the crawl space that is too tall for me to manage often. thank you for your comment. Have you tried contacting Vitamix as they have some amazing customer service. They may be able to do something for you. 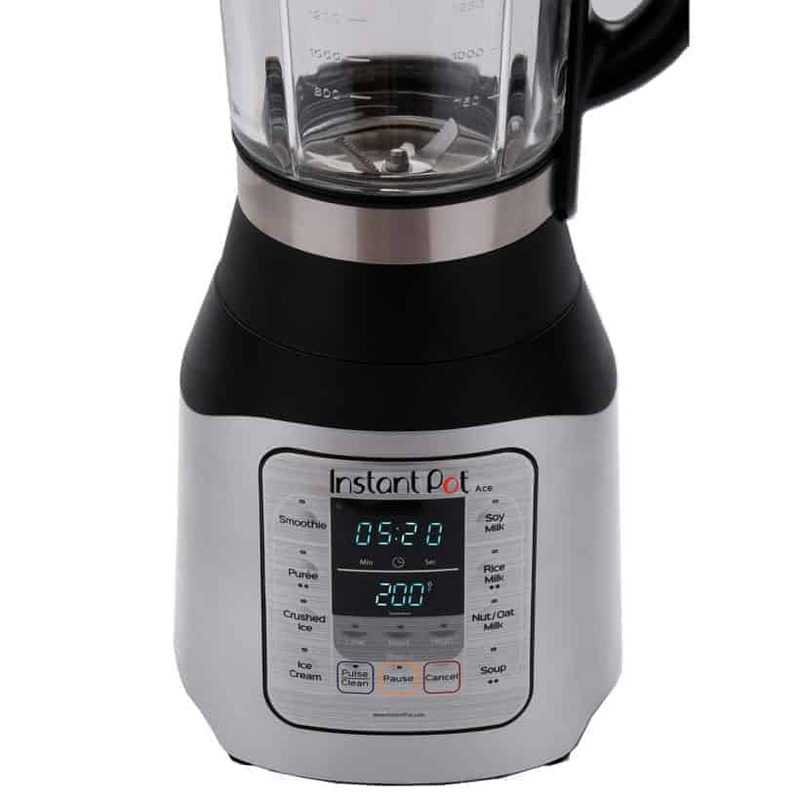 For $99 I can’t fathom how this IP blender can possibly compare to the Vitamix. Will IP sell a lot of them? Probably as many of us own an Instant Pot and love it so will want to think the Ace 60 will be a great blender. But will it match the superior performance of a Vitamix? No. I think the key here is the warranty. True, the Vitamix models are not inexpensive, but even the classic 5200 has a SEVEN year warranty and many of us have had them many, many years without problems. The IP blender is warranteed for only ONE year. Not sure how it will compare to the Vitamix. I guess we will have to wait and see. I’ll be very interested to see how this compares to Vitamix. I’m a huge Instant Pot fan but I just can’t see this matching Vitamix at that price point. Vitamix is that price because of the quality. They can’t make the machine for that price. Plus it has a heating element. Vitamix doesn’t but heats due to the crazy speed of the blunt blade. I’m sure it’ll be better than a ninja or Nutribullet though. But I definitely won’t be trading in my Vitamix for one. Will it blend to smooth consistency veggies such as carrots, broccoli without leaving chunks.like the Vtamix can do? That’s what I want at a lower price. Take care & see you around! Have never used a blender. What is the heating element for? I guess it is for cooking soup as it doesn’t spin as fast as Vitamix. 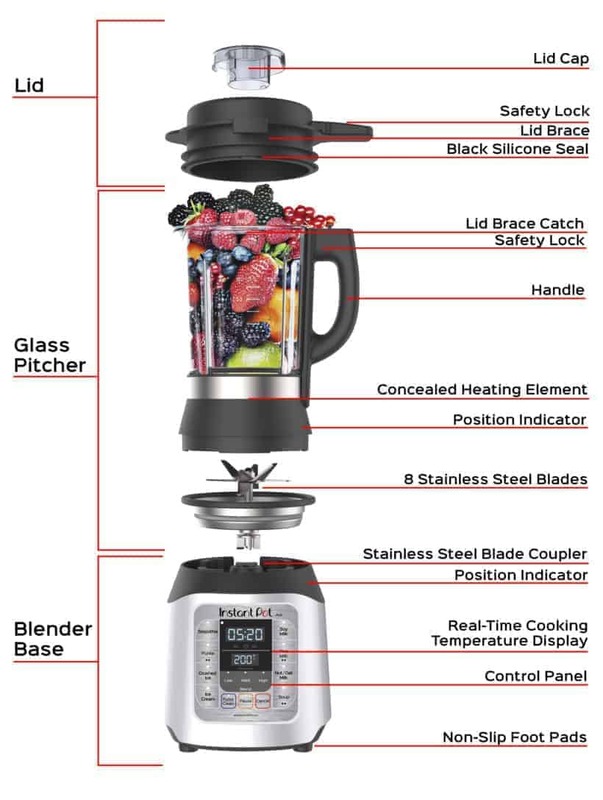 I’ve always wanted a Vitamix, but have a hard time spending that amount of money on a ‘blender’…. so I’m very excited to get your opinion on this blender. 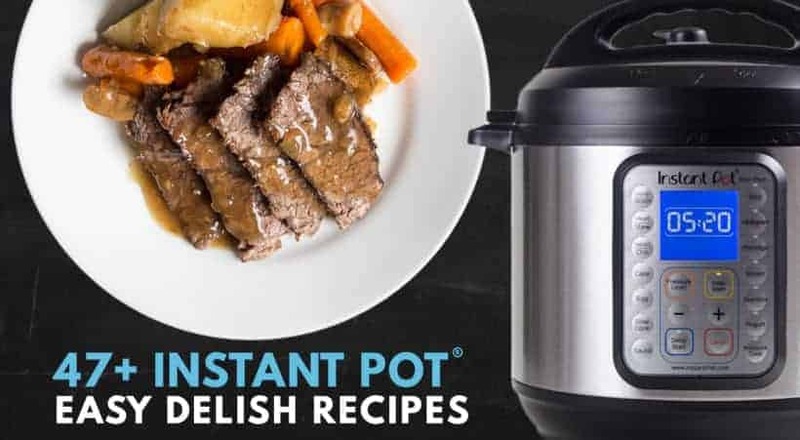 I have a Instant Pot and LOVE it. I’m from Canada, so not sure when it will be available here. Looking forward to your review! We cannot wait to get our hands on this blender! Looking forward to your review of this blender! Do you anticipate publishing recipes using this appliance? I dont own a Vitamix.. but my sister has one and loves it. Cant wait for this to come out.. then I can retire my ancient blender to my son and treat myself with a new one. I’m tempted but at this point in my life, I can’t justify it. I’ve never had the need for a blender in my kitchen. I’ll keep looking at the recipes and if I find one that may peak my interest, I may break down and get this high power blender. I agree. It is a great idea to look for recipes first before buying any new appliances. They have definitely copied Vitamix. Quality time will tell. My Vitamix has 7 years guarantee, bet they won’t match that!! So looking forward to seeing how this IP Blender performs compare to Vitamix (esp. with the price difference), as well as the life expectancy. I already have a Vitamix at home and I love it. I’d give this one a try too for the office, especially since the motor is supposed to be quieter.